Since the User Interface (UI) and User Experience Design (UXD) of iOS and Android are quite different from each other, it’s not an easy task to create a uniform GUI wrapper on top of it. Though Xamarin and others have put in significant work on this front, it is far from perfect. It works well if you design your application to live within the framework’s limitation, however, if you need anything that doesn’t fit with the framework’s vision, it requires a lot of work to implement and requires writing platform specific code. To give you an example, in Xamarin Forms, it takes a lot more work if your designer chooses to give custom colored borders to text fields. As this is not obvious to the designer, once you have settled in on the design, the programming team needs to put in a lot of efforts to pull off this seemingly simple design. Xamarin is working hard to provide more advanced cross-platform UI components under their Xamarin Forms Labs project. But many components of this project are still under beta status. One popular approach taken in native cross-platform development involves writing business logic and web service calls using cross-platform libraries while GUI related code is written with platform specific libraries. Depending on the application, this can allow 30% to 60% code reuse. Xamarin: A California-based software company, which now is backed by Microsoft, founded in 2011. Xamarin uses C# as the main language for the cross-platform development. C# is a statically typed language with mature tooling and IDE support. Also, many big companies have C# programmers already in their in-house IT departments. So, enterprises tend to regard Xamarin as a good investment. QT: QT is one of the oldest cross-platform desktop development libraries around, released 21 years ago, in the year 1995. They added support for cross-platform iOS and Android applications in 2013. QT uses C++ along with QML (Qt Meta Language or Qt Modeling Language- it’s a markup language similar to HTML) to create cross-platform applications. However, QT GUI components, by default, don’t follow the look and feel of iOS and Android. Also, C++ is not an easy programming language because of its huge syntax, manual memory management and standards compatibility issues. However, in the hands of experienced C++ programmers, QT can be quite productive. RubyMotion: RubyMotion is the main language for the development. One of the early players in this domain. When first announced in 2012, it was for iOS only, but supports both iOS and Android, since 2014. Rubymotion requires separate GUI code for iOS and Android, however, business logic can be reused across-platforms. Mobile apps are essentially GUI applications. Most mobile apps depend on backend web services for large parts of their business logic. Roughly speaking, in mobile apps, especially in the business process automation domain, almost 60% of the code deals with creating and managing the GUI. Apache Cordova which was originally named as PhoneGap (launched in early 2009) is the most popular hybrid cross-platform framework. It supports most of the major modern smartphone operating systems. Since in hybrid cross-platform frameworks HTML and CSS are used to create GUI, almost all of it can be used across different operating systems. With libraries like framework7 (http://framework7.io/) it is also possible to support the underlying operating system's default look and feel using CSS-based themes. With careful planning around 50%-80% code reuse can be realized across-platforms. This results in faster development and reduced costs. Cross-platform development provides more benefits during the maintenance period. If a bug is found in a common codebase it needs to be fixed only once. Unit tests are required to be written only once for the common code, hence the saved budget can be used to write more thorough unit tests. It is possible to use existing programming talent rather than learning platform specific development language. Ideal for B2B apps and business process automation apps, where time to deployment and efficient utilization of resources is more important than sleek look and feel. In general, phones are not as powerful as desktops when it comes to raw processing power. Many mid-level and entry level phones don’t have enough hardware power to perform smooth HTML5 animations. 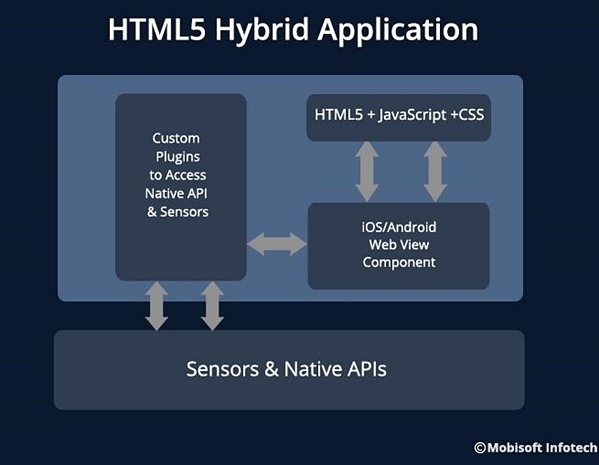 Because of this HTML5 hybrid apps can lead to sluggish UI on low and mid range phones. Also since browser components have evolved with the operating systems, it’s relatively painful to support operating systems which are more than three years old. Usually, HTML5 hybrid apps depend on callback-style programming to communicate with native plugins, which makes the code unnecessarily complicated. Also for some tasks, this might lead to impractically slow solutions. Native cross-platform app SDKs are not mature yet. GUI needs to be coded multiple times to obtain platform specific look and feel. Mobile operating systems are evolving at a very rapid rate. Every year there are more and more features being added. This creates more work for the cross-platform SDK vendors who need to bring out new versions of their SDK within a short time after the release of a new operating system version. Sometimes, it also requires a lot of work on the developer’s part to upgrade an app to newer versions of the cross-platform SDK. 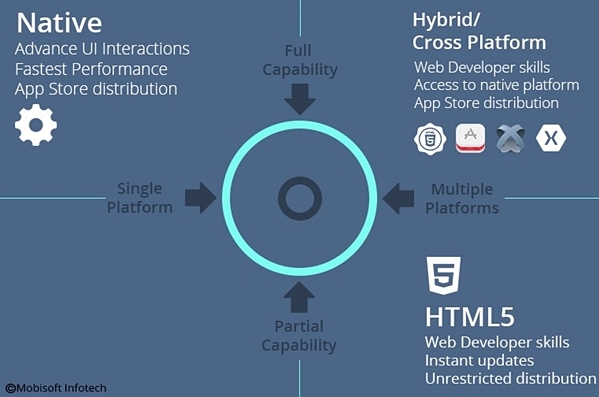 To conclude this in one line, even though native app development offers 100% platform compatibility and smooth performance, for B2B solutions and for business process automation projects, native cross-platform or HTML5 hybrid application development techniques can offer good enough performance in a more cost effective manner. Ritesh Patil is the co-founder of Mobisoft Infotech that helps startups and enterprises in mobile technology. He loves technology, especially mobile technology. He’s an avid blogger and writes on mobile application. 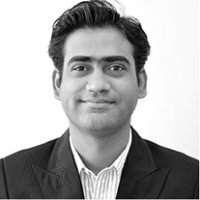 He works in a leading android development company with skilled android app developers that has developed innovative mobile applications across various fields such as Finance, Insurance, Health, Entertainment, Productivity, Social Causes, Education, Taxi development and much more and has bagged numerous awards for the same. React Native not on the list? Re: React Native not on the list? So Adobe AIR is not even worth mentioning aha? Lightweight development like we did in Codename One. It's pretty much the only way to get WORA that doesn't compromise like hybrid web. QT effectively takes this route as well and has proven some of it's abilities. Xamarin has Complete coverage of all iOS and Android API's. At it's worst all business logic and data access is shared, but at our company, we used xamarin forms and shared 95% code cross platforms, and that includes a custom camera interface and overlay. We were able to shave 3 months off a 6 month development project and had Complete access to every platform api with no restrictions, and now that its free, xamarin should be the go-to development platform. No-Compromise. We used Xamarin forms and shared 95% code cross platforms. Percentage code shared depends on the needs of your application. For B2C applications, the UI expectations are very high. The basic components in Xamarin Forms are not always sufficient. To create custom components most of the times, one needs to write platform specific code (It is possible to write platform specific code in C#, but that doesn't mean it's reusable on both platforms). We did a social network type of app with Xamarin. The app had a lot of custom UI components, the code reuse we saw in that app was only 50-60%. For B2B apps and in house business process management apps, Xamarin is good. How much code reuse is possible, depends on the UI design and the type of the app you are developing. Thank you for letting us know. Soon I will update in the post. Also, Xamarin are more than "backed by Microsoft", they have been acquired and are fully owned by Microsoft. I agree with Ritesh's comments, but would add that we use Xamarin.Android and Xamarin.iOS for B2C apps so that we have absolute control of the UI. Xamarin's SDKs provide 100% coverage of the platform SDKs. Using an MVVM framework such a MVVMCross has helped us achieve code sharing of 80% across the two apps. I am also surprised that React-Native is not mentioned. Good Insights Ritesh Pati. I loved it, hope to see similar more. I too share the opinion and believe that cross-platform is the future of mobile app development. Frameworks like Corodva and libraries like Ionic are equipped with a host of APIs and tools to allow developer add as many features to an app as they want. (Dindayal Gupta, Root Info Solutions). It has been written and heard a lot about cross-platform mobile applications just to confuse a layman to select the best method tool for app development. I wish the confusion will be resolved after looking at this article. Xamarin is an all time great platform along with PhoneGap which I feel is rightly mentioned in this article. CN1 is not the only one. I use www.totalcross.com for several year and it really deliver WORA for iOS, Android and even desktops. Great article! With so many blogs discussing cross platform app development and the recent surge that we are witnessing today in the use of this time saving and comparatively inexpensive method, this article does stipulate the pros and cons in a very simple and concise way. Since the author draws a line between native cross-platform and hybrid development tools (which is, no doubt, a great advantage of this article), it would be logical to see the pros and cons of each type in separate sections as well. Besides, now it looks like the cons of cross-platform development outweigh and outnumber the pros, yet most of the cons are those of HTML5 solutions, not ‘native cross-platform’ ones. Many of the advantages are sadly not mentioned too. Generally, I agree with the author's final note, but by reading the last part of article I wouldn't have arrived at such a positive conclusion. Good article. I wish you updated it for 2018 with current trends! You’ve made some very important notes in this article. Mobile app development is a more complex process than building a traditional application, but, due to the fact that mobile devices are so widely used nowadays, the demand for mobile app development services is so high. And, in general, using mobile apps is more convenient than using mobile websites. Telerik AppBuilder, for example, enables developers to build cross-platform native mobile apps for iOS, Android and Windows Phone. It’s main advantages are that it provides them with an instantly available, hyper-productive development environment. Undoubtedly, mobile apps have become almost vital for the growth of a company. The more innovative a firm is, the more benefits it’s likely to get. Nowadays apps have become the dominant form of digital interaction. And, as people spend more and more time on their mobile devices, businesses understand that they can take advantage of this. They can establish better relationship with their customers and increase their companies’ revenues. But, it’s not enough just to have an app – it should work faultlessly on all devices and platforms. Therefore, before building an app, a company should take into consideration all the factors in order to make the most of the mobile app development process and to create great and functional mobile apps. I'd also like to mention AIR, it seems to have been forgotten and yet it's still brilliant for cross platform development. It's free (using FlashDevelop which is still the best by far), you can target iOS, Android, Windows and Mac and despite the apparent lack of interest from the community it is still updated regularly. You can build and deploy to iOS and Android from your Windows PC, as well as debug on an iOS or Android device from your PC. With a bit of fiddling you can even run your app in the Adobe device simulator on your PC. Native Extensions let you get to native OS functions for those few things where it's needed. The underlying tools are command line so you can automate builds, AS3 is a perfectly decent language and all in all it's pretty solid. I guess it's been tainted by it's association with Flash which while understandable is inappropriate. I haven't tried all alternatives but I have tested a few (Unity, Cordova, NativeScript, React Native) as well as using Xamarin more seriously and I have yet to find anything that comes close - Unity maybe for games. The build process for iOS in Xamarin is a joke - I've been able to develop/build/test/debug/deploy to iOS all from my PC for years - the only thing I need to fire the Mac up for is submitting to the app store.